Check out my review of Sonora Review's double issue, number 55 and 56, just posted at The Review Review. You'll find out about their tribute to David Foster Wallace and how the winners of their annual short short contest fare. As I mention every couple months here on Unreliable Narrator, The Review Review hosts a siteful of great reviews of your favorite literary magazines and interviews with lit mag editors. There is also a section called Writers Speak where you can read personal reflections on the importance of lit mags by writers like Jenna Blum and Dan Chaon. If you're a writer interested in writing reviews for the site, contact Becky Tuch. She's a one-woman dynamo, the sole engineer behind this site, and she's always looking for new reviewers and essayists. Tell her an Unreliable Narrator sent you. While the days start getting shorter, my book queue grows longer. Just can’t get into reading the novels I’ve started (Ghosts, by César Aira and Desperate Characters, by Paula Fox). Haven’t thought much about adding to this blog lately. The novel I’m currently writing has been on hold over the past few weeks as I filter critique comments, consider revising the first few chapters before moving forward, and finishing up a couple other writing projects I’ve started. Even the DVDs I’ve been watching haven’t been very thrilling. I take that back: I just started watching Steven Soderbergh's The Limey, and it’s much better than I remember—great simple story of a British man who travels to L.A. to find his daughter’s killer. Well told in an overlapping, elliptical style that compliments the story. Nice to see old-timers Barry Newman, Terence Stamp, and Peter Fonda looking dapper. Good nasty fun. 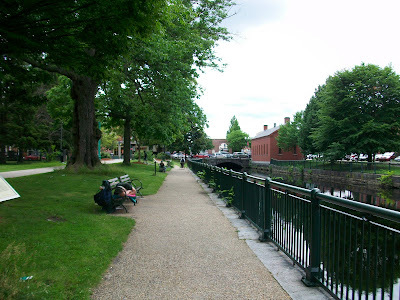 But Friday I’m heading out of town to Martha’s Vineyard for a week. I’m packing books, a manuscript a friend just sent for me to read, and my laptop loaded with my writing. While away, between lounging on the beach, enjoying great food, and trying out the local watering holes, I plan to get my creative mojo back. And if not, I’ve plenty to keep me busy. 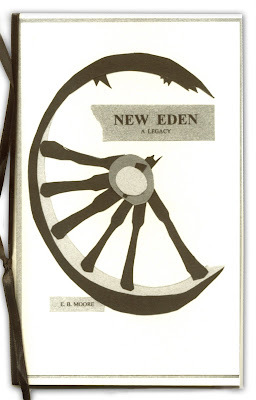 Two weeks ago the new book of poetry, New Eden, A Legacy, by E.B. Moore (which I had pre-ordered earlier this year), arrived in the mail. E.B. Moore is in my writing group, so it was a delight to receive a fellow writer’s work delivered to my condo’s doorstep (okay, mail room—no actual steps in front of my door). Poet and novelist Ann Killough says, “New Eden is a wonder. The story of Moore’s great-grandmother’s disastrous 19th-century exodus West from her Old Order Amish community in Pennsylvania is detailed in a sequence of short poems and letters.” I’m familiar with Ms. Moore’s work as a novelist, as she has been working on a beautifully crafted, lyrical narrative that covers some of the same themes, locales, and time period as New Eden. I can’t wait to immerse myself back into her stories. She also designed the lovely cover image. New Eden is published by Finishing Line Press, out of Kentucky. Get your copy while supplies last. E.B. Moore is not the only writer in my group to come out with a book. Actually, two others are set to release novels in the coming year. 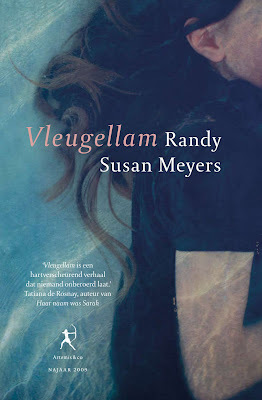 While its U.S. publication date is six months away, I figured it’s not too soon to tout Randy Susan-Meyers' The Murderer’s Daughters, to be published by St. Martin’s Press in January 2010. 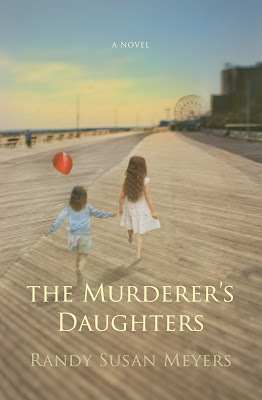 The Murderer’s Daughters concerns two young girls who witness the murder of their mother at the hands of their father, and the effects of this act throughout their adult lives. Great hook. The book’s garnering a lot of interest in the publisher world. It's positioned to be a major hardcover next year and is also being published in France, Germany, Holland, Israel, and the UK. Can you say international book tour? Read my interview with Randy from this past March. Then there's Iris Gomez’s novel, Try To Remember, to be published in May 2010 by Grand Central Publishing (Hachette Book Group). I’m relatively new to Iris’ work, but have been blown away by everything I've read. Her writing is lyrical, evocative, and honest. Try To Remember is about a Colombian teenager living in the strangely evolving cosmopolis of 1970s Miami. She desperately tries to love her increasingly mentally ill father as he drives her family into poverty, and towards possible deportation. Another great hook. Keep an eye on amazon--the book should be available for pre-order later this year. Thanks to Iris for supplying me with her book's description, and to both Randy and Iris for supplying their cover images.